With soaring ceilings juxtaposed with a head-scraping dining room, this quirky Oregon home is a study in charming contrasts. history while helping to preserve its future. plenty of room in a tiny Willo bungalow. five-acre spread near Glacier National Park, blending their love for Craftsman style with today’s conveniences and Montana hospitality. 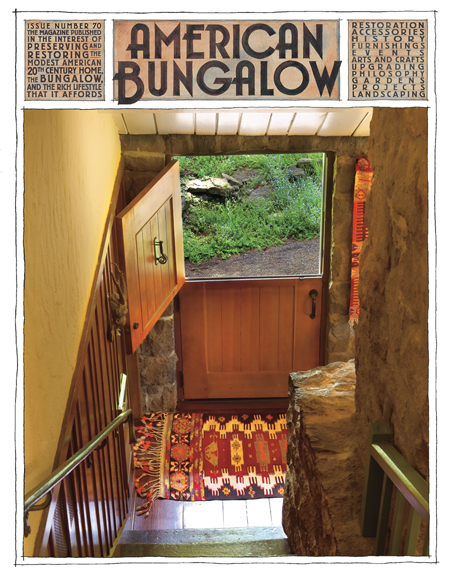 floor plans’ and a subscriber without a fireplace wants to add a warm hearth to his bungalow. father of the Arts and Crafts revival. brings crafters into the 21st century.